The music world lost an artist and a visionary this week. But the technology world did, too. Most of us will remember David Bowie for his music, from his acoustic singer/songwriter beginnings to his cutting-edge work throughout the '70s, '80’s, '90s and into the new millennium. But what may not be as universally known is that as much as Bowie was often ahead of his time musically, he was equally visionary in understanding the potential impact of technology on both the art and business of music. Full disclosure: I have been a die-hard Bowie fan almost all of my teenage and adult life, and I always will be. I followed him on every musical and creative venture he explored. I came of age when Bowie was embracing industrial music through a collaboration with Nine Inch Nails, and I signed up as a "full meal deal" fan from that point onward. In 1998, when he launched his own Internet Service Provider Business — Bowienet — I signed up the day it went live. Living in Northeast Iowa, I didn’t have the full-service ISP available, but I proudly used my DMcAnally@Davidbowie.com e-mail address for years. Long before the words "premium content" entered the vernacular, Bowienet members got streaming videos, exclusive music and as much direct access to the man as could possibly be expected from someone of his fame. He interacted regularly with fans in chat rooms (remember those?!) and kept a blog before such things were fashionable (it was there I saw my first meme, I Kiss You). In the context of the time, the ISP was a means to an end. It was all about bringing people together and fostering collaboration in art. His vision lives on in the form of things like Kickstarter, Patreon and Indiegogo. Bowie was one of the first artists to understand the promotional power of the Internet. In 1996, he released the first single for "Earthling" as an MP3 on his website. He began using email to coordinate tours as far back as the 1987 Glass Spider tour. He routinely used email and 800 numbers to let fans vote for set lists. Technology was a major factor in his art as well. 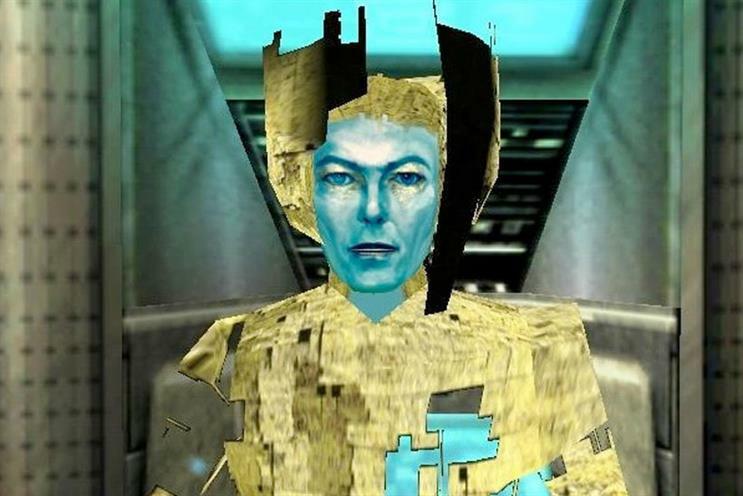 Before Splice or Soundcloud, Bowie made pieces of songs available for mash-ups and remixes for his fans in the early '00s. (Note: as it turned out, I am not in any danger of becoming a sought-after remix artist.) He was adamant that sharing was the way of the future for music during that period, an assertion that flew in the face of conventional wisdom during the then-raging Napster controversy. In many instances, Bowie didn’t necessarily invent things, but as the saying goes, "When he invented it, it stayed invented." Like all bold and great people in history, he wasn’t afraid to fail in his lifelong quests to break new ground. Remember Bowiebanc? Yes, it was an actual Bowie-branded bank. (Sort of the Tin Machine II of Bowie’s business-meets-technology ventures.) Hailed as the Internet’s first private-label bank, it didn’t quite put Chase out of business. But it expanded our idea of what was possible. Like most Bowie fans, I will always remember him first as a fearless musician. But his fearlessness in trying new ideas — in all facets of his work — has left the world a much more vibrant place. Dave McAnally the director of content solutions at Resolution Media.